Suppose your construction company records a lien. In response, the property owner sues for slander of title. Or, suppose your management company serves a legally required notice to a tenant, and the tenant sues for emotional distress in response to the contents of that notice. Or, suppose you make a negative statement about a competitor before a planning commission, and that competitor sues for defamation. How might such claims be disposed of quickly and efficiently? Oregon is one of a number of states (including Washington and California) with laws that permit defendants to quickly dispose of such lawsuits and recover attorney fees. The laws are called anti-SLAPP statutes; SLAPP stands for "Strategic Litigation Against Public Participation." The purpose of anti-SLAPP laws is to discourage meritless lawsuits being filed in response to conduct that furthers a defendant's First Amendment rights. The classic SLAPP lawsuit is one involving a plaintiff who sues for libel based on the defendant's statements in a newspaper. However, anti-SLAPP laws also apply to lawsuits based on statements made to government agencies and officials – including administrative agencies, law enforcement, and courts – and to statements made in connection with government functions or investigations. In the event that a SLAPP suit is filed, the defendant may file an anti-SLAPP motion at the outset of litigation. In that motion, the defendant must demonstrate that the complaint, or any of its claims, arises out of conduct related to the exercise of First Amendment rights. If the defendant does so, the plaintiff then has the burden of demonstrating, through admissible evidence, that the case has merit. If the case does not, the judge will dismiss it. In addition to dismissal of the lawsuit, there are other significant economic benefits to anti-SLAPP motions. If the motion is granted, the court is required to award the defendant its attorney fees and costs. This is a one-way right to fees, meaning that the plaintiff is not entitled to fees even if the defendant loses the motion (though the motion cannot be frivolous). Also, all discovery is stayed once the motion is filed, therefore significantly reducing the defendant's litigation costs. Although it may seem unlikely that a statute designed to protect First Amendment rights would apply to construction, development, or related areas, defendants in those industries have used anti-SLAPP motions successfully. Anti-SLAPP statutes have been found to apply in litigation alleging slander of title, defamation, infliction of emotional distress, or other torts arising from such acts as recording a lien, filing a lis pendens, inaccurately describing property in recorded documents, or serving eviction or foreclosure notices. Anti-SLAPP statutes apply to such acts because they implicate the right to petition government and, in some cases, are required by law. There are few cases applying Oregon's anti-SLAPP statute, and even fewer cases involving anything other than typical speech, such as statements in a newspaper or political protests. However, due to similarities between the anti-SLAPP statutes of Oregon and California, the Oregon courts look to California cases for guidance. The California courts have held repeatedly that the less typical First Amendment conduct mentioned above also can fall under the statute. Thus, there appears to be great potential application of the statute for companies involved in construction, development, and related fields. 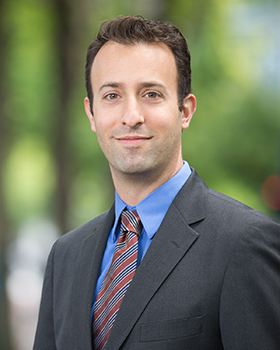 Cliff Davidson is an associate in the litigation group at Sussman Shank LLP. Contact him at 503-243-1653 or at cdavidson@sussmanshank.com.